Mo Flava is celebrating three years of driving home millions of listeners weekly on the Liberty Radio Award-winning show The Drive on Metro FM. "I can’t believe it’s been three years already. Clearly, time flies when you are having fun. I’ve enjoyed every moment of my journey on The Drive and I look forward to driving home listeners through this new season of The Drive on Metro FM," says Mo Flava. 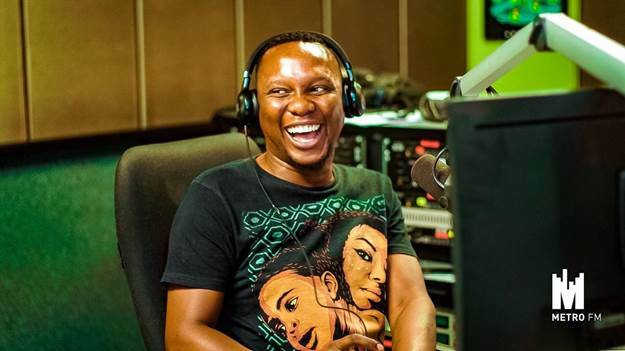 2019 marks 13 years in radio for Mo Flava, who says he continues to have the same zest for the broadcast medium as when he first started. According to Metro FM, he ensures, year after year, that he plays a role in ensuring the media role players and personalities of tomorrow are well equipped with the necessary skills and knowledge to perfect their craft and advance the media industry in the country at large. Mo Flava does this through his Boston Media House bursaries, which he has been giving away for the past nine years. Catch Mo Flava on The Drive on Metro FM every week day from 15:00 to 16:00. For more information, visit www.moflavadj.co.za. You can also follow Mo Flava on Facebook or on Twitter.